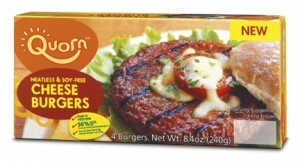 I prefer the plain burgers from Quorn, which has a nice European flavor. These have an odd taste from the cheese, at least in comparison. I've got the plain burgers in my freezer too - I'll be sure to try them side-by-side with the cheese burgers when I bust them out.